The implementation of new rules that introduce barriers to entry and entrench existing disparities in an industry would normally be frowned upon, particularly when those rules are being introduced by an association that governs a large swathe of that industry. UEFA’s new Financial Fair Play (FFP) rules appear to do exactly this though, and it is no surprise to see the first major legal challenge to these regulations. These objectives were set out to try and put the brakes on costs and losses in football from spiralling out of control. Many clubs are currently underwritten by wealthy, often overseas, investors, while others have gambled the club’s future by operating above their means in the hopes of achieving increased future revenues. This has led to a number of high-profile collapses over the past decade, not just in the UK. The general objective behind FFP is to ensure that clubs balance their books over a specified period of time. Varying aspects of it have also been separated adopted by leagues around Europe – the Premier League recently announced a limit on the increase of wage bills from season to season, while the Championship and Leagues 1 and 2 all have variant on UEFA’s break-even approach. On the face of it, the aims and objectives of FFP seem very reasonable and the clubs themselves have agreed to abide by these rules. However, Belgian agent, Daniel Striani, with the backing of Bosman lawyer, Jean-Louis Dupont, has now launched a legal challenge to FFP on the basis that it contains anti-competitive measures and will impact on his ability to generate income due to reduced transfers between clubs. The three main arguments that Striani and Dupont will employ are that FFP will restrict outside investment in football clubs, FFP will entrench the existing disparities within the market and that FFP will reduce the transfer market and salary packages, thus affecting Striani’s ability to generate income for his business. Does the challenge have a chance? It is in this clarification where the issues may potentially lie. Sport is very different to other industries in that one of the key elements of sport is uncertainty. Unlike other industries, there is a strong interest on the part of clubs to ensure a degree of competitive balance within competitions and leagues. So, the question really arises as to whether FFP is compatible with existing EU competition policy and whether it goes beyond what is necessary. 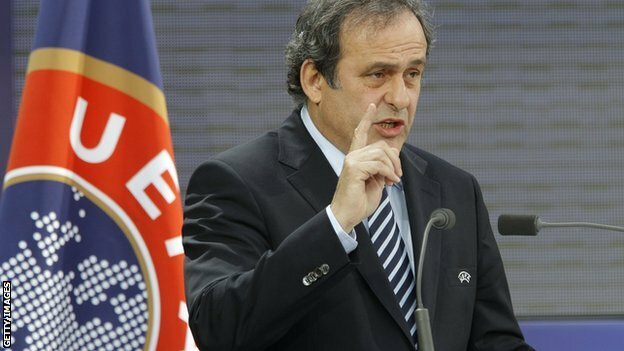 A former case, that of Meca-Medina in 2006, has set the precedent that sporting rules do not constitute a special case. They must be fully consistent with existing EU regulations. In other words, the European Court of Justice must apply the same tests to sporting rules as they would apply to rules in any other area of economic activity. FFP will almost certainly distort competition and inter-community trade. It will almost certainly have an impact on the transfer market, both internally within countries and between EU member states. They will reduce both the size of transfer fees and the quantity of transfers between clubs. It will also limit investment from outside third-parties. It could be argued that this could entrench the existing elite at the top by limiting the ability of other clubs to break into this group. Chelsea and Manchester City are the obvious two examples that have benefitted from outside investment, from Roman Abramovich and Sheikh Mansour respectively, to break into the elite group. Without this third party investment, it is very difficult to see a scenario where these two clubs could have achieved the position in which they now find themselves. So, the fact that it likely infringes upon competition policy is fairly clear. The real question is whether it goes beyond what is necessary to achieve its objectives – in other words, are there other regulations that could be implemented instead to achieve the same objectives, but that are less restrictive on clubs? There is an argument that the existing regulations achieve the stated objectives. Clubs are required to meet certain specifications to receive a license from UEFA, including demonstrating that there are no overdue payments to other clubs, employees or tax authorities. It could be argued that there is no need to restrict how clubs spend their money, or how they utilise debt, provided that they can meet their obligations through their existing resources. Striani and Dupont will argue that there are other, less restrictive, ways to achieve the stated objectives. Improved revenue-sharing and a ‘luxury tax’, as employed in the NBA, has been mentioned as an alternative. It will be a nervous time for UEFA. They have already had to remove a transfer ban as one of the punishments for breaking FFP due to concerns over it being unenforceable in court. Now they face the real threat that the entire FFP framework could be picked apart in the European courts.